Further experiments: flow of boiled glass. The result is available as a set of psychedelic coasters . 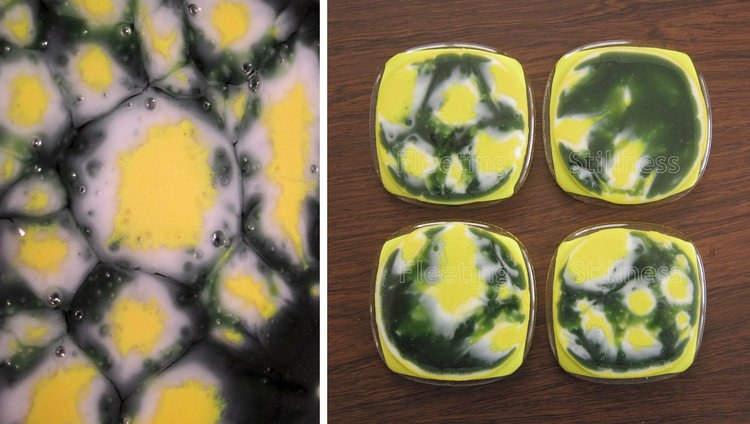 Abstract daisies on green grass or boiled eggs floating in green jello?